Home News INEC records over 80million registered Voters. INEC records over 80million registered Voters. The Independent National Electoral Commission (INEC) have recorded over 80million registered voters as at Saturday, 11th August, 2018. 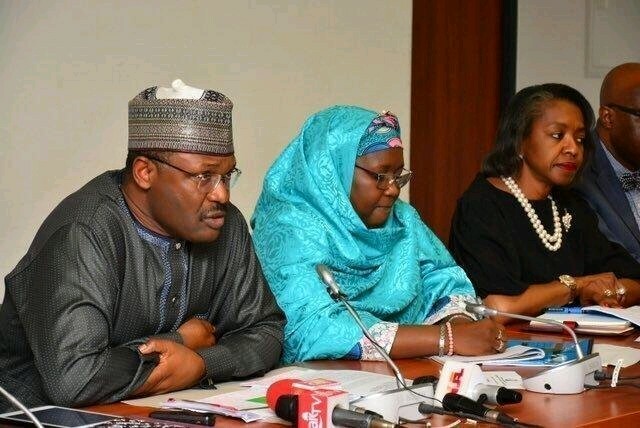 This is according to the Chairman, Independent National Electoral Commission (INEC), Prof. Mahmood Yakubu, while defending the Commission’s 2019 Election Budget. The maths is simply an addition of almost 70million before the 2015 general election and the 12.1million as in August 2018. "As at the 11th of August, the Commission had registered 12.1 million new voters. If you add this to the almost 70 million on the register before the 2015 general elections, we have well over 80 million registered voters as we speak. "We are conducting elections into 1 Presidential Constituency, 109 Senatorial, 360 Federal and 991 State Constituencies, 29 State governorship elections, and for the first time, the general election is coinciding with the Area Council Elections in the Federal Capital Territory. So, we are going to conduct 68 elections in the FCT, in addition to elections in other constituencies. "We had a little over 40 political parties in 2015. But as at today, we have over 91 political parties in Nigeria and we are still considering applications from 140 associations for registration. If half of the political parties field candidates, we are going to process a total of 70,809 nomination forms for the general election. If all the 91 political parties present candidates for all the constituencies, we will process over 144,000 applications for the election. So, it is really a huge task for the Commission."